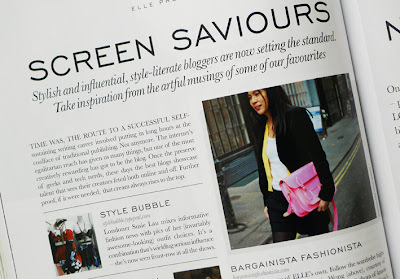 bargainista fashionista: Bargainista Fashionista is in ELLE! Have you spotted Bargainista Fashionista nestled among the pages of the April issue of ELLE this month? I'm featured in The Tech Edit, a 16-page ELLE promotion, in association with LG, as one its favourite bloggers! Susie Bubble is another, naturally, while elsewhere in this guide to the new LG Optimus L7 phone are fellow bloggers Emily Johnston of Fashion Foie Gras and Jackie Dixon of Show Me Your Wardrobe. You'd read my blog if you read that, wouldn't you? I love the picture, too. It's from my blog post about the fluoro-pink Cambridge Satchel. Btw, if you want to win the new LG Optimus L7 phone, plus a year's subscription to ELLE, click here. 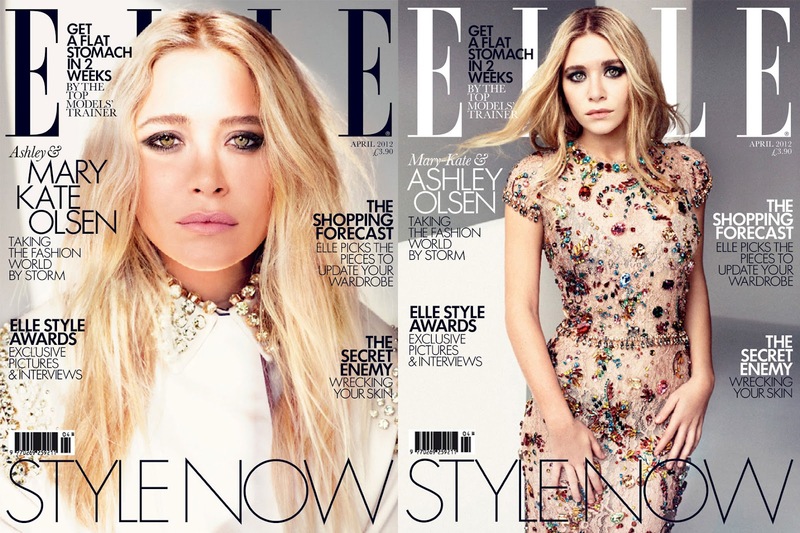 Meanwhile, on the topic of ELLE's April issue, which cover do you like best? Mary-Kate or Ashley Olsen? Let me know. Congrats! That Cambridge satchel was indeed a revelation. I am still arguing with myself as to which colour to get. Ooh, what colour satchels are on your shortlist? I think the red one is a classic. And they look really cool monogrammed, too.